In this article you will learn how to add and charge open service in a PNR. 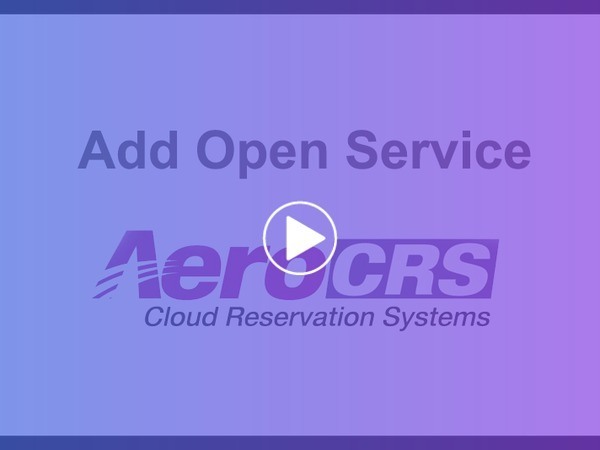 Open service is a feature AeroCRS has that allow you to charge additional services which are not part of your company's inventory. With the O/service popup screen, you select what would you like to charge for. Fare - What is the price to charge? The open service will be added as another service in the PNR screen.